SPECIAL DEAL - Usually 15.95. today just 12.95 - Save £3! 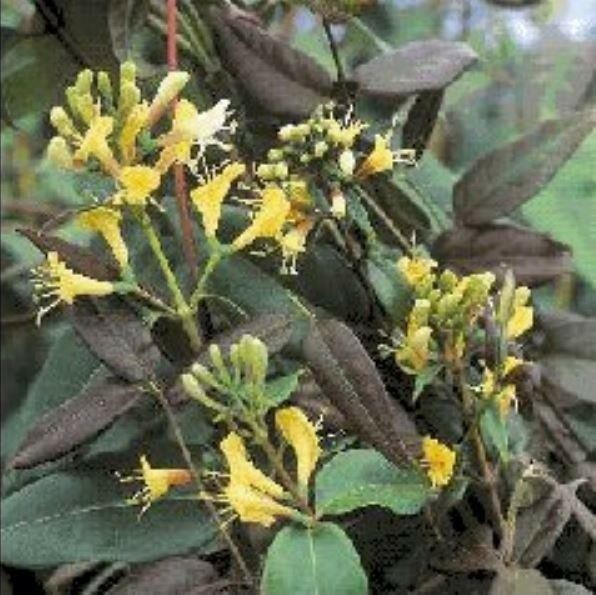 Lonicera 'Copper Beauty' has deep copper yellow flowers against rich bronze coloured new stems and leaves in spring. A fantastic evergreen climber, with goes well when combined with clematis armandii. Supplied in approx 2-3 litre containers. Strong quality plants.